To conquer the big peaks, you need to be prepared for anything. With its perfect balance of weight, comfort, and maximum ventilation, Camelbak's top-of-the-line Fourteener™ 24 takes hydration and organization to the next level. To conquer the big peaks, you need to be prepared for anything. 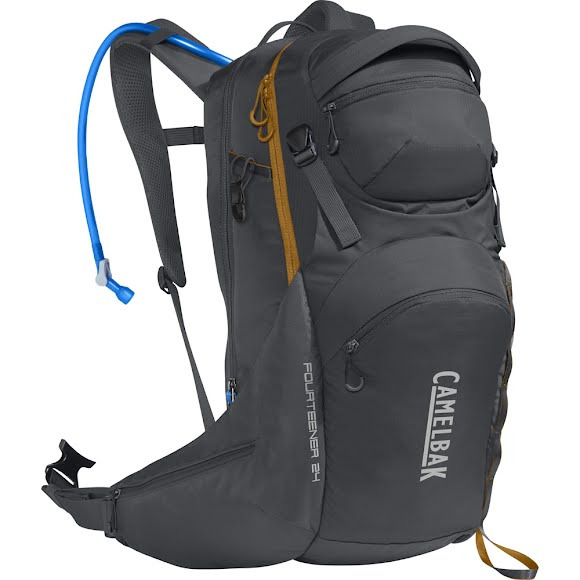 With its perfect balance of weight, comfort, and maximum ventilation, Camelbak &apos;s top-of-the-line Fourteener™ 24 takes hydration and organization to the next level. With our new 3-liter Crux™ reservoir and revolutionary Air Support™ back panel, you&apos;ll stay cool and comfortable with multi-directional ventilation and fully-articulated suspension. The innovative dual wing belt with integrated cargo compression keeps your load balanced while the multiple compartments, pockets and lash points offer a place for every essential. This premium technical hydration solution ensures unrivaled performance and load stability for all hikers.